Mind-mapping and brainstorming solution MindMeister has released MeisterTask, a Web-based collaboration tool that will enable workers to organize and manage tasks and workflow. 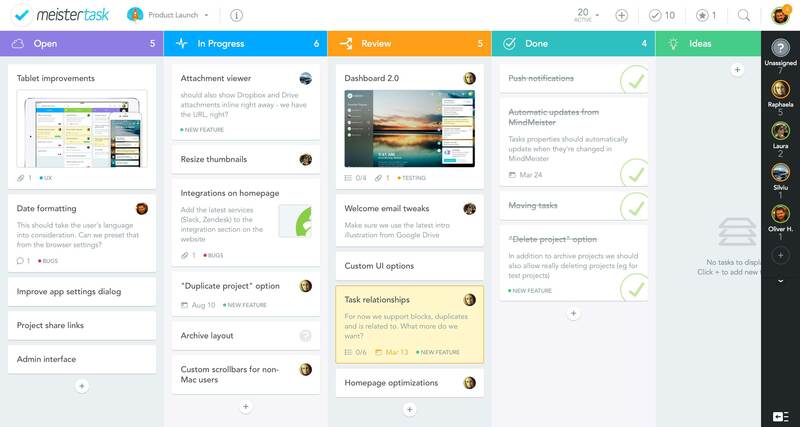 MeisterTask connects to MeisterLabs visualization software MindMeister, giving users the ability to add their brainstorms and visually-created project plans into a MeisterTask workflow and leverage both tools in progressing from brainstorming to execution. "MeisterTask has everything you need -- and nothing you don't -- to guide you through a productive day," said Till Vollmer, Managing Director, MeisterLabs. "After analyzing feedback from the 3.5 million users and 500 million ideas captured with our initial product, MindMeister, we wanted to focus on moving workers from brainstorm to action in a way that really mapped to the way the brain works. Yes, MeisterTask is a task management tool, but we stand firm in thinking it offers a visual, agile experience for bringing ideas to life that is truly unique in the market."